Your eyes are your most telling facial feature. As they convey emotion, they are often the first representation of you and your personality; however, they are also one of the first facial features to show the effects of aging. The natural breakdown of collagen, heredity, and environmental factors all lead to upper eyelids that can be “hooded” and lower eyelids that might droop. These effects create an aged and tired look. Blepharoplasty removes excess skin and fat deposits while creating a smoother, more youthful appearance. When your eyelids are puffy, or you have excess skin that sags, you may look sad or tired. Blepharoplasty will allow you to take back control of the emotions you express so that whatever you feel is correctly reflected. Heavy, drooping eyelids often create a disconnect between the age you look and the vitality you feel. 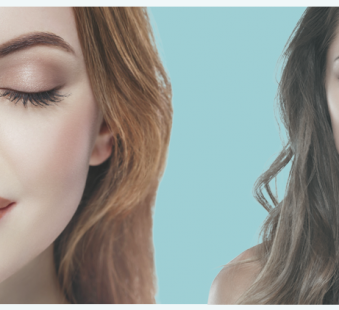 Blepharoplasty bridges the gap between these two to leave you with smoother, tighter, more youthful eyes. Blepharoplasty can help bring balance to your face. Heavy eyelids can often stick out on your face like a sore thumb. This procedure can tighten and brighten up the eye area, leaving your face rejuvenated and refreshed. Eyes show your inner spirit, so show them off with pride. Eyelid surgery can increase your self-esteem and confidence. There will be no need to hide under sunglasses or avoid eye contact. Blepharoplasty can be performed on the upper eyelids, the lower eyelids, or both. For the upper eyelids, an incision will be made along the natural contours of the upper lid to remove excess skin and fat deposits. This will correct upper eyelid sagging and can remedy impaired vision due to the excess skin. For lower eyelid surgery, the incision will be made just beneath the lash line to remove excess skin and fat deposits. This will result in the reduction of sagging and puffiness. Crow’s feet can also be addressed by extending the incisions to the outer corners of the eyes. Blepharoplasty takes about two hours to perform depending on the extent of the surgery. It is performed under local anesthesia; however, if requested or if your eyelid lift is done in conjunction with other procedures, can be performed under general anesthesia. This will prevent any pain during the surgery. After your surgery, you may initially experience pain, bruising, and swelling. This irritation can be remedied will cold compresses and pain medication. You may experience some sensitivity to light or temporary blurred vision. This is normal and no cause for concern. Strenuous activities such as vigorous exercise should be avoided to allow your body to heal. Your PREMIERE surgeon will provide you will full instructions on how to care for your eyelids to ensure proper healing. How noticeable will my scars be? Although there is no way to prevent scars during surgery, your PREMIERE surgeon will make your scars as inconspicuous as possible. For upper blepharoplasty, the scars will be hidden in the natural folds of the eyelid, and for lower blepharoplasty, they will be just beneath the eyelid. These scars can be concealed with makeup and will fade over time. Blepharoplasty is most commonly combined with a brow lift, as brow laxity may impair the results provided by upper eyelid surgery. It can also be performed alongside a facelift or neck lift. Eyelid lift surgery cannot prevent future aging; however, it can provide long-lasting results. To maintain the best results, continuing a healthy lifestyle and protecting yourself against future sun damage is recommended.